Stephen was born in Cape Town and matriculated at Rondebosch Boys High School.He completed his BA.LLB. Degree at the University of Stellenbosch. He prosecuted in both the Magistrate’s and Regional Courts, and he was later employed at the State Attorney’s Office in Cape Town.Stephen was admitted as an attorney in 1989. Two years later, in 1991, he joined De Klerk & Van Gend as a professional assistant. He became a director of the firm in 1993. 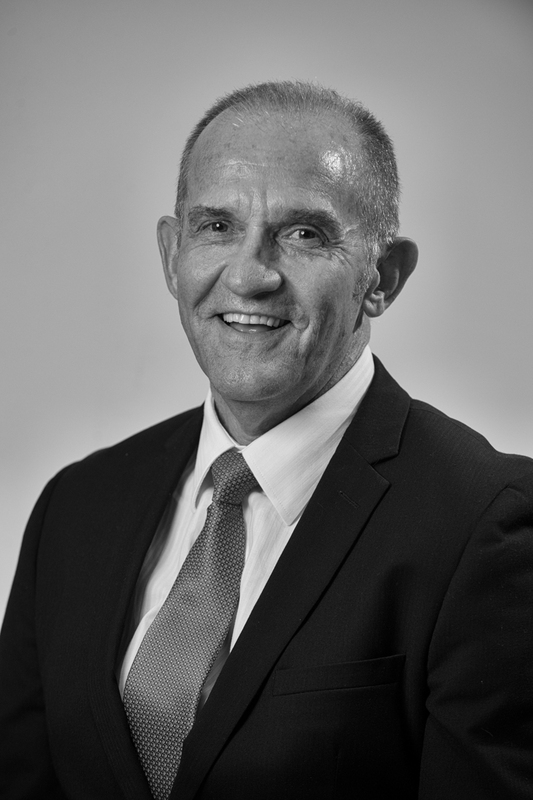 Stephen has been involved in education-related matters, both legal and otherwise for many years, and is currently serving a second term on the Western Cape Education Council, an advisory body to the MEC. He is the former chairperson of the National and the Western Cape Chapter of the Governing Body Foundation, a voluntary association that advises approximately seven hundred schools nationally and in the Western Cape. This entailed inter alia consultation and negotiation with various education authorities as well as advice on legislation and regulations. Stephen is presently chairperson of the Rondebosch Old Boys Union. Stephen heads up the litigation department in the firm’s Claremont branch and specializes in High Court Litigation, commercial law, law of contract, education law, matrimonial & family law, including surrogacy. Stephen is a keen sportsman, and, apart from being an experienced scuba diver, has completed in excess of sixty marathons with a permanent number for completing over ten Two Oceans Ultra Marathons. He also completed 15 Argus Cycle Tours. Family Law: Life partners – Beware the “common law marriage” myth!